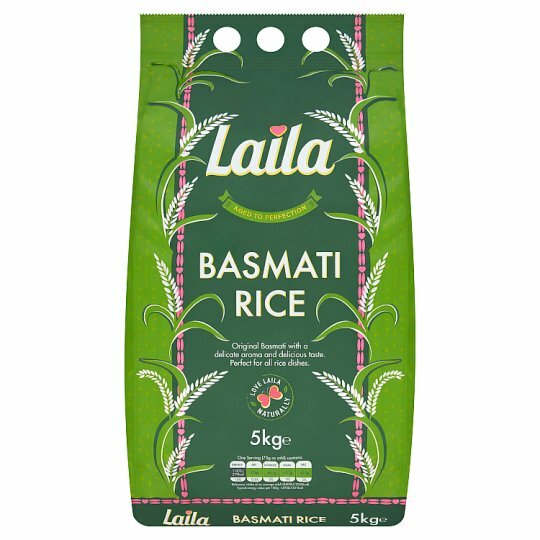 Our Basmati Rice is perfect for curries or as an accompaniment to any meat, vegetable or fish dish. It's aged to intensify the flavour and taste. It's naturally packed with vitamins and minerals, so an excellent choice for those seeking a healthy diet. Store in a cool dry place. Once opened, keep tightly closed and consume within the Best Before End date., For Best Before End Date See bottom of pack. 3 Drain water, cover and leave to stand for 3 minutes, then lightly fork through the grains and serve. Cooking appliances vary and these instructions are given as a guide. Please ensure that the rice is piping hot throughout before serving.